A GREAT TOOL to help you and your partner get clear on your preferences surrounding your birth experience! How do you want to experience one of the most important events of your life… your baby’s birth? You do have a choice, you know. Know you are definitely not alone because many women feel this way about birth. You have an advantage though, because you are on the path to doing something about it. Congratulations for being the kind of woman who has enough awareness to seek out answers,resources and support that will empower you to feel confident, clear and a sense of peace about your birth experience. Click here for 3 things you can do to get started right now. What I know for sure is that birth can be exciting, joyful and empowering. In fact, it has the potential to transform you as a woman and your relationship to your baby. How I know this is because it happened for me. I was just like you when I became pregnant. I was uncertain what my options were or even where to begin. I was overwhelmed with all there was to know and learn, and I was scared of childbirth and not being able to handle the pain or that something would go wrong. I began to ask questions, I researched, read books, talked to people, surfed the net, I took classes and most importantly went inward and began to trust my own inner knowing about what was right for me and my baby. Without realizing it at the time, I had created a process of self-discovery and transformation. Through my process I became completely transformed as a woman. Not only was my baby brought into the world in a peaceful, loving and connected way,but I came to know truly what I am capable of (even beyond birth) and how powerful I am. This has served me in many areas of my life and still does every day. Before I created this process, I was already a life coach and then became certified as a childbirth educator and doula, and eventually created what is now called Empowered Birth Coaching™ and the Empowered Birth Method™. Would you like to experience transformation through your birth experience, like I did? Only your transformation will be YOURS and unique to you. 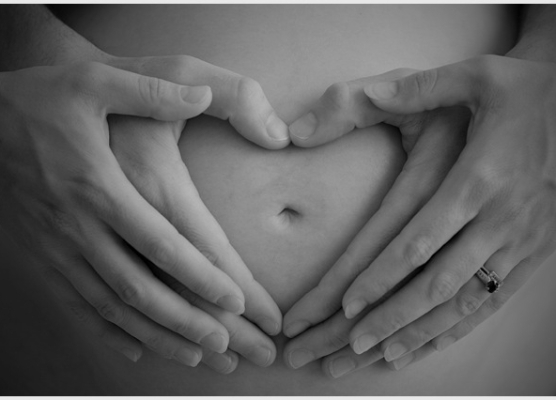 Do you want clarity, confidence and inner peace, entering your birthing time, and beyond? If you are seeking guidance to get out of fear and overwhelm and to step into your personal power in your birthing time, then I can help. 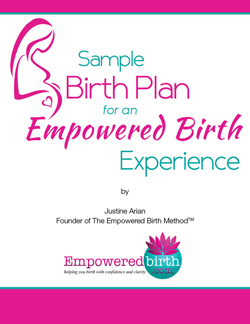 1) Grab a FREE download of the “Sample Birth Plan for an Empowered Birth Experience” report by entering your email address and you will also receive tips, resources and support via email. 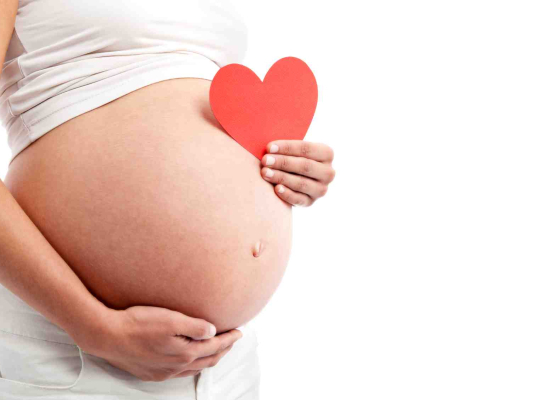 2) Check out my Empowered Birth Coaching Program and other services that can help you. 3) Contact me for a complimentary phone consultation if you have questions about how we can work together or when you want to get started. It’s my sincere wish that you have all the support and knowledge you need in order to feel empowered on your journey. This birth is YOURS and your baby’s. How you both experience it DOES matter. Own it. Justine enhanced our birth experience to its fullest. Justine surpassed our expectations from beginning to end! “Justine was such an amazing, calming, and reassuring presence during my labor and delivery! My goal was to have a natural childbirth and she was central to seeing that I met that goal; both my husband and I agree that while I could have achieved a natural childbirth on my own, it would have been so much more difficult had Justine not been there for me. She was also a great help to my husband throughout the entire process. She went above and beyond in so many ways, from the preparations to the birth, to the post-delivery — she surpassed our expectations from beginning to end! My wife and I were set on having natural childbirth, but we didn’t know exactly how that would happen.  We were very late into the pregnancy before we discovered The Bradley Method®, so late in fact that we were unable to sign up for any group classes. Thank goodness for Justine! My wife and I read through Bradley’s book, and did as much as we could on our own bef ore we had our first meeting with Justine. But without an experienced observer, we were very unsure of our progress. Justine was able to, very quickly, alleviate our fears of being unprepared. She went through a checklist with us that made us feel very good about what we had accomplished on our own. She was also able to, in an encouraging and supportive manner, lay out for us what still needed to be done. She even went through some relaxation exercises with us that both reaffirmed our own efforts, but also offered insight into what more we could do. Justine instilled in us a sense of confidence, and inspired us to keep moving forward with our work. Justine was also invaluable on the day of our family’s biggest event! She assisted my wife with massage, encouragement, insight and positive energy. She assisted me with support and quiet suggestions, letting me fill the role of coach while letting me know I was never alone- that I had backup whenever I might need it. She was able to seamlessly move in and out of the “coach” role, filling in for me when I needed to recharge, and was always within reach. I had the most amazing birth with my son, thanks to Justine…. Birth Control: Does It Really Exist? Copyright © 2017 Empowered Birth, LLC All Rights Reserved.